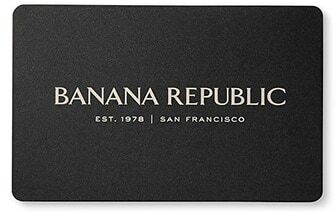 Shop Banana Republic to see a great selection of women's sweaters on sale. Build a reliable wardrobe of seasonless style options with the newest collection of ladies' sweaters on sale at Banana Republic. Take advantage of incredible deals on versatile everyday staples with this assortment of high quality sweaters, made with soft and touchable fabrics to wrap you in all day comfort. Enjoy premium long wearing dyes with these carefully crafted garments, showing off rich jewel tones and vibrant printed patterns to immediately set your ensemble apart. You can also choose from a selection of styles featuring bold graphics for a modern touch on this time tested silhouette. Expand your rotation of casual and polished looks with the women's sweater sale at Banana Republic. These pieces have remained a chic and popular option for decades because of their effortlessly elegant character and flattering fit on a range of frames, and when the style savvy spot a sale, women's sweaters always make an excellent investment. Cardigans make an excellent option for workplace wear, casual ensembles and good times with great people. The right style can also add visual impact to your look regardless of the season. Lightweight sweaters are a stylish choice for nights when the temperature drops after a day of fun in the sun, and heavier options are a natural platform for a simple yet put together look during errands on a chilly morning. Pair a cute sweater with a pair of khakis or chinos for a laid back look that works in a range of environments or add feminine flair to your aesthetic by teaming one with a mini or midi length skirt in an eye catching design. Sweaters are a natural fit for your favorite pair of boots on a brisk day, but make an equally perfect partner for a pair of heels or ballet flats. Bring edge to this traditionally sensible style by contrasting it with a handbag in a textured material such as leather or canvas. A few dramatic statement accessories can even further elevate your look. With the latest collection of sale sweaters for women at Banana Republic, the options are practically limitless.